FINDING THE RIGHT MASSAGE THERAPIST ISN’T EASY. We’re here to change the experience of booking a massage close to home. 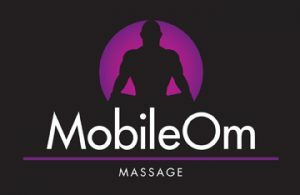 Mobile Om, founded by Tony Clark, is designed to Transport Therapeutic Massage and Transcendence to Scranton / Wilkes-Barre metro regions and surrounding NEPA communities—in the convenience of your home, office, hotel, event, or party. Services can also conveniently be performed at the therapist’s in-home studio. Relaxation, greater range of movement, pain relief. Mobile Om helps clients achieve maximum results through communication. It makes all the difference! Communication is not only effective but essential in meeting your needs. Pressure, temperature, and technique(s) are all variations which can affect your massage experience. + Flexible scheduling – I come to you! For thousands of years, massage therapy has been practiced and trusted as a healing technique. You don’t need to visit a luxury spa or upscale health club to enjoy its benefits. Today, you can schedule a massage appointment in offices, clinics, hospitals, airports, or even your home. It’s no longer considered an indulgence – it’s an essential element of self-care and well-being. 75% of the individuals surveyed claim their primary reason for receiving a massage in the past 12 months was medical (including pain relief, soreness, stiffness or spasm, injury recovery, migraines, and injury prevention). 61% of the individuals surveyed stated their physician has recommended they get a massage. Your muscles are busy. As you go about your day, exercise, or enjoy the hobbies you love, your muscles are in motion. Over time, your muscles may become overworked or overtasked, causing them to become tense or inflamed. Massage therapy relaxes muscle tissue, which in turn reduces painful contractions and spasms that cause your discomfort. Besides giving your muscles a much-needed break, therapeutic massage therapy can also reduce nerve compression. When your muscles are tensed, they can compress the nerves around them and constrict their ability to transmit messages efficiently. By relaxing the muscle tissue, nerves can receive proper nutrients and do their normal work of transmitting messages to and from the brain, resulting in improved muscle and organ function. Experience the benefits of massage yourself. Massage therapy is an investment in your health and well-being with the best possible return. Contact Mobile Om today to schedule a massage therapy appointment at your convenience. We offer in-home or office mobile massages to Scranton, Wilkes-Barre, and surrounding areas of Northeastern Pennsylvania. Massage is generally considered part of complementary and alternative medicine. It’s increasingly being offered along with standard treatment for a wide range of medical conditions and situations. Studies of the benefits of massage demonstrate that it is an effective treatment for reducing stress, pain and muscle tension. Massage therapy can help in addressing common muscle issues such as lower back pain, neck pain, tension, or soft tissue strains. Those with rhematoid arthritis, osteoarthritis, or generalized joint pain have found massage to provide pain relief. Massage has been shown to decrease stress, aid in reducing anxiety, ease symptoms of depression and contribute to feelings of relaxation. Massage is an excellent accompaniment to physical therapy and rehab for sports injuries, as well as relief for post-operative pain. Chronic conditions such as fibromyalgia, myofascial pain syndrome, carpal tunnel syndrome can benefit from massage therapy. Massage can be helpful for chemotherapy-induced nausea as well as many digestive disorders or stress-related digestive trouble. Getting a massage can help with promoting better sleep as well as easing stress-related insomnia. Massage has been shown to help improve balance as well as support greater athletic performance. Those who experience migraines or tension headaches can benefit from massage therapy. Massage can improve your quality of life. © 2019 Mobile Om Massage.